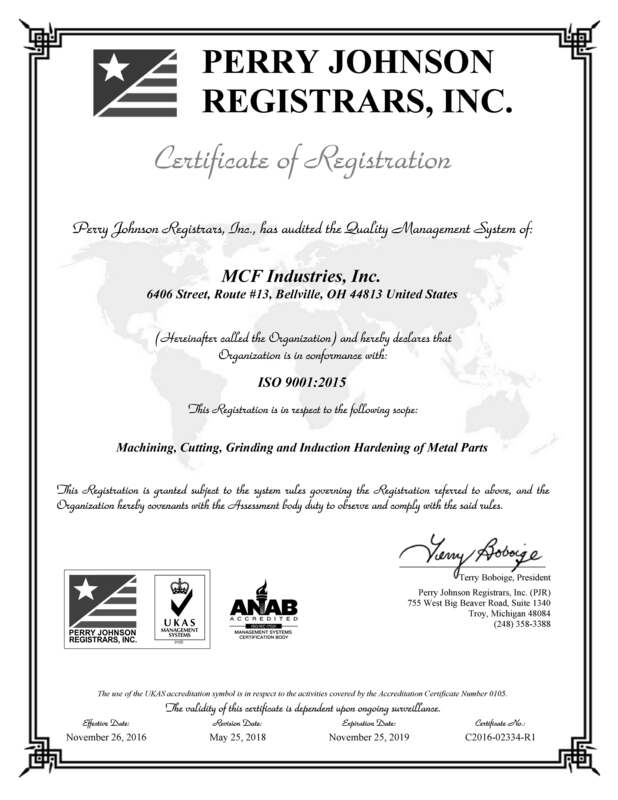 MCF Industries is ISO 9001:2015 certified. click here for a full size pdf of our certificate. copyright © 2011, MCF Industries, Inc.